Tommie Marie Cavit Smith the second of ten children, the daughter of Ulas Cavit and Tommie Lee Lowe was born in Wharton, TX on Monday, January 1, 1951. 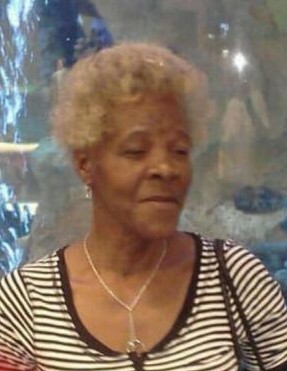 She shared her upbringing with family and friends and was known throughout life affectionately as “Aunt Tommie”. Tommie accepted Christ at an early age and was baptized at New Hope Baptist Church under the leadership of the late Reverend E. F. Rayford. Later she united with Evangelist Temple Church of God in Christ under the leadership of the late Elder Doyle Anderson. Throughout life she held firm to her hope and belief in Christ and continued to keep the faith. Tommie was united in holy matrimony to Lourrell Smith on March 23, 1969. A loving daughter, granddaughter, mother, sister, aunt, niece, and friend were just a few of her distinguishing qualities which made up her beautiful life. By her demise she will be greatly missed. Her transition from this life to eternal life was Saturday, January 26, 2019 at 68 years 25 days. Her loving and caring family she leaves includes three sons, Bryan Holmes (Daria) of Arizona, Jermaine and Jeremy Smith (Ebony) of Bay City; four sisters, Lora Johnson of Marianna Arkansas, Mary Jones, Nina George (Roosevelt) both of Bay City, Texas, and Linda Parks of Houston, TX; five brothers, Ulas Parks of Peterborough, Cambridge England; Tony Cavit of Bay City, TX, Charlie Armstrong (Sonja) of Dale City, VA, Clement Norris (Barbara) of Kilgore, TX, and Iris Norris of Fort Worth, TX; a special friend, A. J. Brown; eight grandchildren, five aunts, four uncles, twelve nieces, ten nephews, ten great-nephews, nine great-nieces and a countless family of cousins, other relatives, and many many friends.